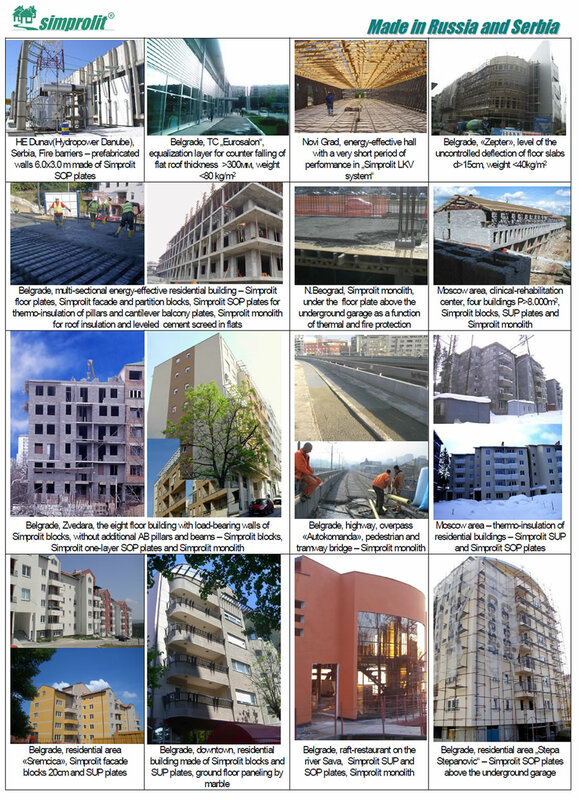 Simprolit building system is distinguished by its unique combination of: quality - excellent thermo-insulation - durability - good sound proofing - good humidity resistance - frost resistance - sufficient light-weightiness - correspondence with all fireproofing requirements - economy. Simprolit system not only reduces the price of 1m2 of habitable space, but also makes the living in the house built of Simprolit, comfortable. Thanks to its ecological properties. The Simprolit system is based on a new material - SIMPROLIT - a patented "super-light" polystyrene concrete. It was called "Wonder-material" of the XXI century; they called it so in the Center for Implementation and Application of New Technologies in Moscow. 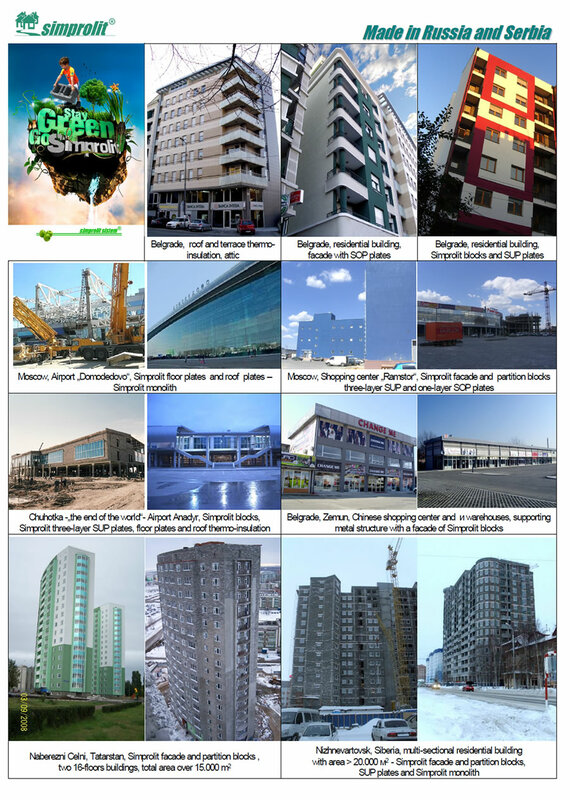 For example, walls made of Simprolit blocks with just 30cm thickness are recommended by the Russian Academy of Civil Engineering Science - Institute of Civil Engineering Physics - for use as one-layer facade walls (without additional thermo-insulation layers) in all climate zones of the Russian Federation, including the regions with extreme climate conditions. And finally, they must not obstruct the ability of architectural free expression. Till today, there is no building system which could fulfill the whole list of the above stated demands. The material and the elements of Simprolit system have all certificates necessaries that allow using it in all climate zones of the Russian Federation. Construction of new and thermo-insulation of old flat roofs, etc.